Unfair Dismissal Compensation - Do I Have A Case? As of 6th April 2012, new government legislation means that anyone who commences employment after 6th April 2012 will need to have worked for their employer for two years in order to bring an unfair dismissal compensation claim. Please see our blog on employment law changes to find out more. If an employee is dismissed because of spent convictions. If an employee has been dismissed for any of the above reasons, they may be able to bring a claim for automatic unfair dismissal compensation, even if they have less than 12 months service. Claims to the Employment Tribunal need to be brought within 3 Months less one day of the matter complained of. 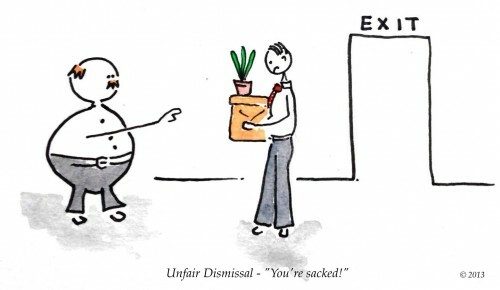 Therefore, if an employee wants to bring a claim for unfair dismissal, they should ensure that their claim is submitted within three months (three months less one day) from the date of their dismissal, or if the employee has been subjected to discrimination in the workplace, the tribunal claim should be submitted within three months of the last act of discrimination. The actual date of dismissal or the date of discrimination is often difficult to ascertain, and the time limit is very short so employees are advised to seek legal advice as soon as possible. Mr Smith is verbally dismissed for Gross Misconduct at the end of a disciplinary meeting which took place on 5 March 2011. He receives a letter on 7 March 2011 confirming his dismissal. The date of dismissal is 5 March 2011 and Mr Smith must ensure that his tribunal claim is submitted by 4 June 2011 (three months less one day). For some other substantial reason (SOSR). Below we will cover these in more detail. 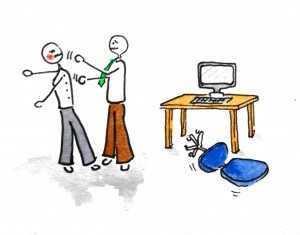 If an employee is unable to do their job properly, they can be dismissed. The employer must, however, ensure that they follow a correct and fair procedure before dismissing an employee because of their capability or performance. There are various reasons why an employee may be unable to do their job properly. Firstly, they may not have the correct qualifications or technical skills. In these circumstances, before considering dismissal, the employer should ensure that the employee is given the opportunity to improve their performance, by offering them training. If the employer has not given the employee any opportunity to improve, the dismissal is likely to be unfair. Secondly, the employee may have an illness or injury which makes it difficult to for them to do their job. If an employee is consistently absent from work because of a genuine illness or injury, the employer should go through certain procedures before dismissing them. For instance, the employer should speak to the employee about the state of their health and how long their injury or illness is likely to last. The employer may need to consider asking for the employee’s permission to contact their doctor. The employer should also consider alternative work for the employee. If the employer dismisses the employee without going through the appropriate procedures, the dismissal may be unfair and in some cases the employee may have been discriminated against on the basis of a disability (for more information, see our discrimination page). Finally, the employee may simply be incompetent. They may, for example, have made a number of mistakes at work. Alternatively, they may simply not be performing their job satisfactorily, for example, they are unable to reach reasonable targets. In these circumstances an employer should only dismiss an employee if it has given the employee a series of warnings about their performance and given the employee the opportunity to improve. There are many reasons why an employer may dismiss an employee for misconduct. An employer can dismiss an employee for a series of incidents of misconduct, but before it does so, it should normally ensure that the employee is given a series of warnings (verbal, first written and final written warnings) prior to dismissal. 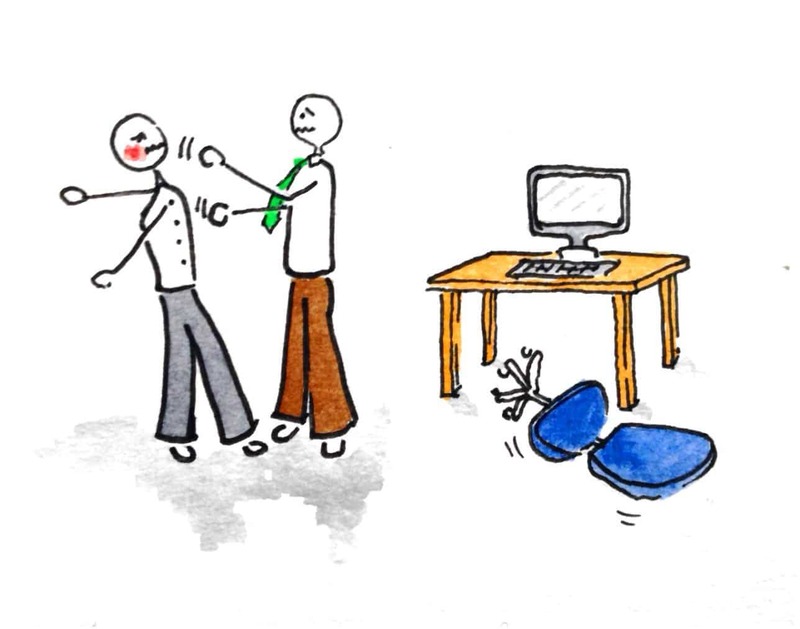 An employer must, however, ensure that they follow fair procedure before dismissing an employee for gross misconduct. Broadly speaking, if the Employer believes that an employee has committed an act of gross misconduct it should suspend the employee, on full pay, pending an investigation. The suspension should be as short as possible. The employer should then carry out a thorough investigation into the alleged act of gross misconduct. This investigation will normally require the employee to get the employee’s version of events. Following the investigation, if the employer still believes that the employee has committed the act of gross misconduct, it should invite the employee to a disciplinary meeting. Before the meeting, the employer must ensure that the employee is given all of the evidence against him, in order that he is in a position to defend himself properly at the meeting. After the disciplinary hearing, having listened to the employee’s side of the story, the employer must then decide what decision to make. If it still believes that the employee is guilty of gross misconduct, it can issue the employee with a warning (either verbal or written) or it can dismiss the employee. However, before an employer dismisses and employee for gross misconduct, it must have reasonable grounds for believing that the employee is guilty. It must therefore ensure that the investigation is thorough and not flawed in any way. If the employer does have reasonable grounds for believing the employee to be guilty, the employer must also show that the punishment (warning or dismissal) was within the “band of reasonable responses” available to it. In other words, the dismissal must not be too harsh. The employer has failed to act fairly in all the circumstances. If it is necessary to made redundancies, the employer must be careful to ensure that the pool (group) of employees at risk of redundancy is fairly defined. For example, if a builder employs three bricklayers, and needs to reduce this to two, then all three bricklayers should be put in the pool. The employee should then ensure that fair and objective selection criteria are implemented and fairly applied. This means that the employer cannot use selection criteria such as “attitude at work” or other such non-quantifiable criteria, because this could lead to unfairness, depending on who was judging the employees’ “attitudes”. If, following consultation, it is still necessary to make redundancies, the redundant employee/s should first be offered any suitable alternative employment. If an employer fails to follow a fair procedure, any resulting dismissal may be unfair. Please see our redundancy advice pages for more information. The default retirement age of 65 has been abolished (as of 30 September 2011) and after this, employers can no longer rely on the default retirement age to dismiss employees. Instead, the employer can retire employees at a set age provided that the specified retirement age can be objectively justified as a proportionate response to a legitimate aim. This will be known as the Employer Justified Retirement Age or EJRA. What this means in practice will be tested in the employment tribunals in due course, as and when the new legislation is relied upon by employers, and then challenged by disgruntled employees. An employer is able to dismiss an employee if they can demonstrate that they would be breaking the law by continuing to employ them. For example, if an employee works as a driver and loses his driving licence, it would be fair for the employer to dismiss him. In these circumstances, an employer should first consult with the employee to explore whether the employee’s duties can be adjusted to allow then to continue to work. If, however, this is not possible, the employer could dismiss the employee with immediate effect. When a third party, for example, a major client / customer, insists that an employee be dismissed, the dismissal may be justifiable on an SOSR basis, although the SOSR defence will not be available if the reason given by the client / customer is unfair in itself. If you are dismissed as a result of a business transfer or takeover, this can be considered automatically unfair. You may be protected by ‘Transfer of Undertakings’ (TUPE). An employer would have to prove that the dismissal was due to technical, organisational or economic reasons, in order that it was fair. An employee is entitled to consider himself as constructively dismissed if his employer commits a fundamental breach of the employment contract. Usually, in these circumstances, an employee will resign from his employment as a result of the fundamental breach, and then issue an unfair dismissal claim against their employer. Please see our constructive dismissal page for more details. If you are successful in a claim for unfair dismissal, the employment tribunal will order your employerto pay compensation to you. There are two categories of compensation, the Basic Award and the Compensatory Award. One and a half’s week’s gross pay for each year worked after your 41st birthday. Furthermore, a week’s gross pay is limited to £400 per week. In addition to the basic award, if a tribunal finds that you have been unfairly dismissed, you will been titled to a compensatory award. This award is based, purely, on loss or earnings and employee benefits (car allowance, pension etc). The tribunal do not set out to punish your employer for unfairly dismissing you, but simply try to put you in the same financial position you would have been in, had you not been unfairly dismissed. In practice, you will normally be compensated for the loss of earnings that you have suffered until yousecure another permanent job paying the same or more than your previous employment. If you are out of work for six months, but then secure a job paying the same or more, you will receive six months net wages, less deductions for notice pay and any benefits received (JobSeekers Allowance) from the government whilst you were out of work. Your compensatory award may be increased, by up to 25%, if your employer has failed to follow proper procedure before dismissing you. Conversely, your compensatory award may also be reduced by the tribunal if you have failed to appeal, or if you have, in some way, contributed to your dismissal. If you believe that you have been unfairly or constructively dismissed and need specialist advice, please call us on 0800 014 8727 to discuss your case, or alternatively, fill out the simple form by clicking the Make Enquiry button at the top of this page and we will call you back at a time convenient to you. If you are calling from a MOBILE and have free minutes, please call on 07803 576 339 and we will call you straight back. How does the no-win-no-fee policy work? One of our employment solicitors will then carry out a free, no obligation preliminary assessment of your case and if we consider that you have a case, we will offer to represent you on a no win no fee basis. Click here to find out more about Tom Street & Co Solicitors & Advocates.